Last Friday Cineplex Canada & Cloud Agents invited the Madtini crew (and most of the Toronto digital community) out for a screening of TRON at the new UltraAVX theatre at brand-spanking new Scotiabank Theatre at the corner John & Richmond in Toronto. The evening started out with TRON-themed cocktails and snacks in the lounge. We were greeted with a table of Green TRON-themed cocktails which we helped ourselves to. Before you knew it we were ushered to our seats along with free popcorn and drink. The theatre features a wall-to-wall screen, advanced sound system, large rocker seats and our favorite feature; reserved seating. Being able to reserve a seat in advance takes a lot of the stress out of searching for a seat or arriving early to beat the crowd. It would also minimize the “Is that seat taken?” questions or lost couples searching for their partners with whispers of “Honey?” in the dark theatre after a mid-movie washroom break. The TRON movie may have suffered a bit in the acting and story department (as did the original) – but the pumping soundtrack produced by Daft Punk and stunning 3D visuals made up for any shortcomings. Later that night (after coming home from another party) we served ourselves a tribute drink, the Gin & TRONic. 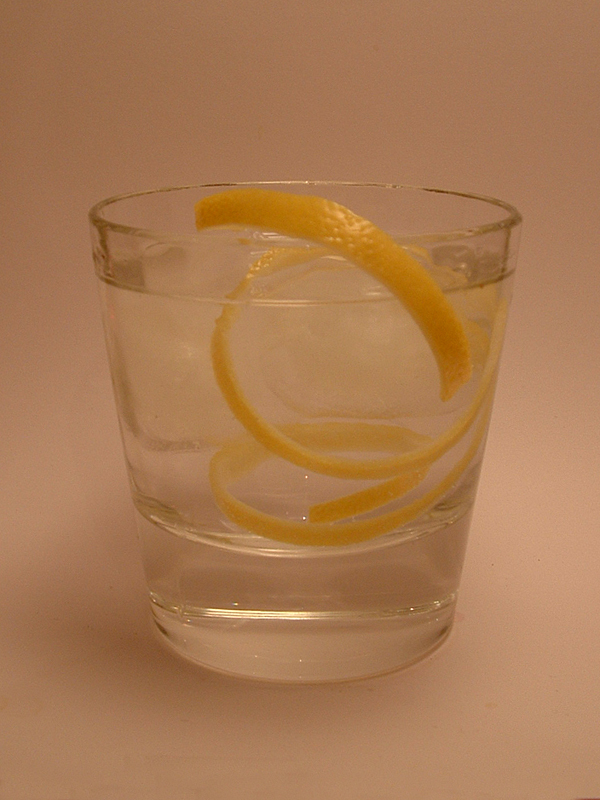 A slight twist on the popular cocktail usually served with a wedge and squeeze of lime. We gingerly cut ourselves a long twist of the lemon skin to represent the yellow trails of the light cycles. Slice out a very long piece of lemon zest. Best idea is to use a lemon zester, I sliced in circles around the lemon and then peeled away the extra inner layer. Add ice cubes to a rocks glass, then pour the gin and tonic over the ice. Stir gently and serve.